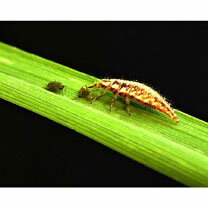 Greenfly Killer using Lacewing larvae 500 is supplied as 500 2nd instar larvae in a 500 mil re-sealable tube. 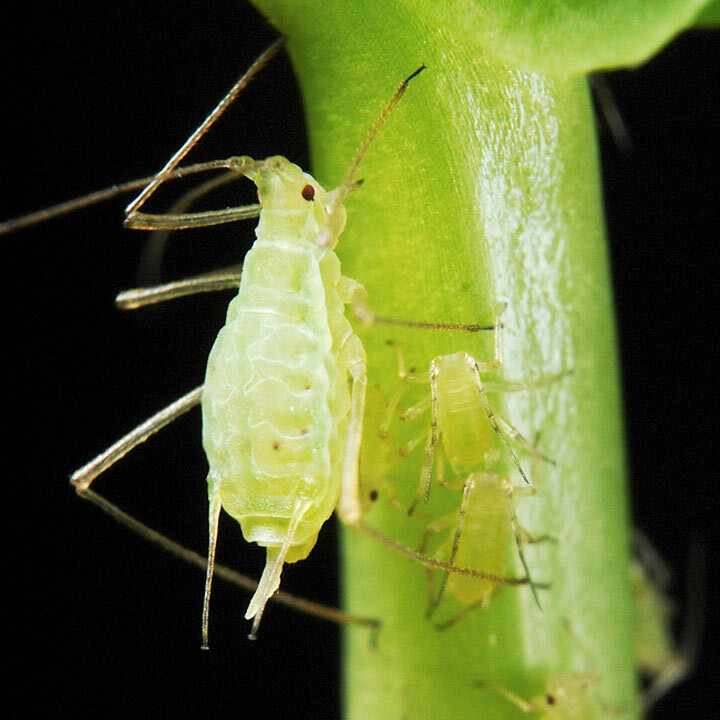 The best way to use Lacewing larvae is to apply directly to aphid colonies. 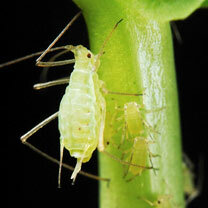 They can be poured from the shaker bottle directly onto the aphids. The larvae are packed in a buckwheat husk carrier material with some food. This prevents them feeding on each other in transport. Lacewing larvae are easy to apply to low growing crops or plants wide leaves.